Baidu overtook Tencent Holdings as the most innovative company in the Asia-Pacific region in 2012, according to Forbes' World Most Innovative Company rankings released last week. The largest Chinese search engine was chased by Rakuten, a worldwide leader in internet services from Japan, and an Indian construction company Larsen & Toubro. Besides Baidu, this year's list saw three other Chinese companies in its top 10: Tencent Holdings (4th), Kweichow Moutai (6th), and Wuliangye Yibin (8th). Indian companies also took up four spots within the top 10, whereas the other two places were taken by Japanese companies. According to Forbes, the list was voted for by investors from different countries, and compiled according to the Innovation Premium, a measure which means how much investors have bid up the stock price of a company above the value of its existing business based on expectations of future innovative results (new products, services and markets). 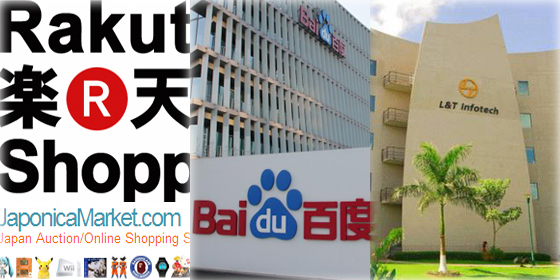 Baidu was ranked the most innovative company in Asia this year, according to the latest Forbes rankings.